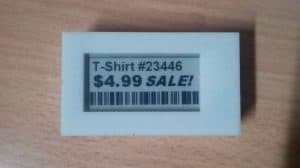 This bluetooth BLE & USB connected Electronic Shelf Label or ESL (smart e-paper display) can display any image or text sent from an app over Bluetooth USB on a e-paper display (EPD). 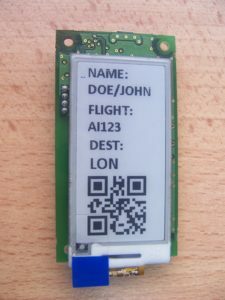 It can be made to display QR codes, barcodes, images or any text. The display will retain the content even when power is switched off. It can operate from a battery or from direct 5V DC input. Check out rest of our products.